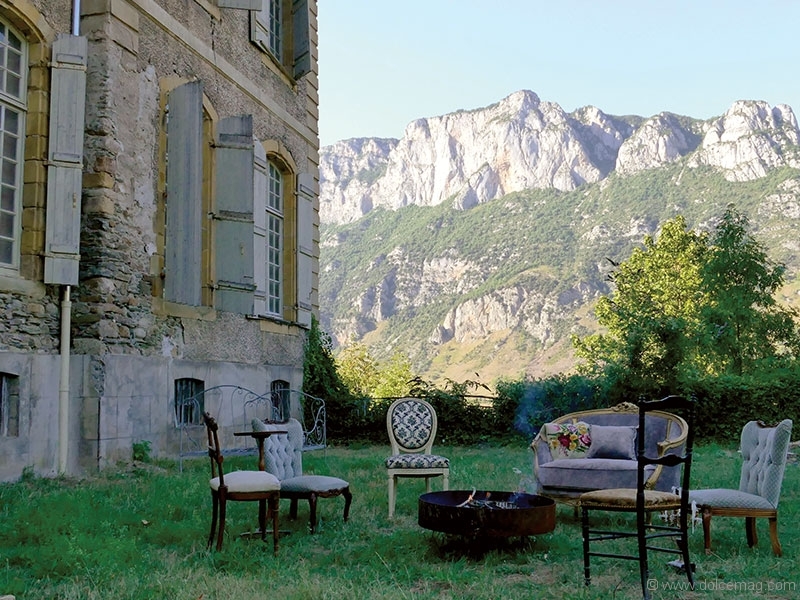 When an Australian couple stumbled upon an abandoned 18th century château in the Pyrenees mountain range in France, they never suspected it would become the lovechild of their family — and an item of fascination for the rest of the world. 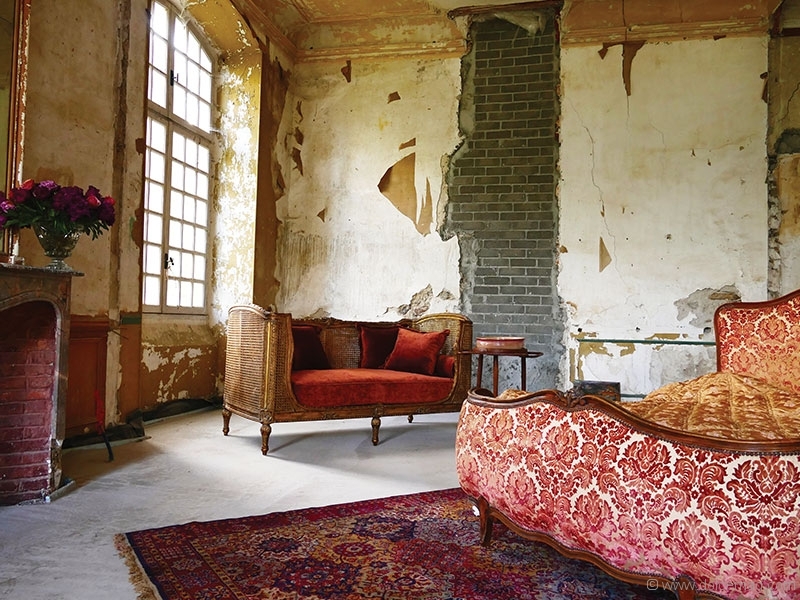 Just days before receiving an award from the Institute of Paris for the restoration project, Karina Waters takes Dolce on a walk through the historic home and shares the tale of its now famous rebirth. 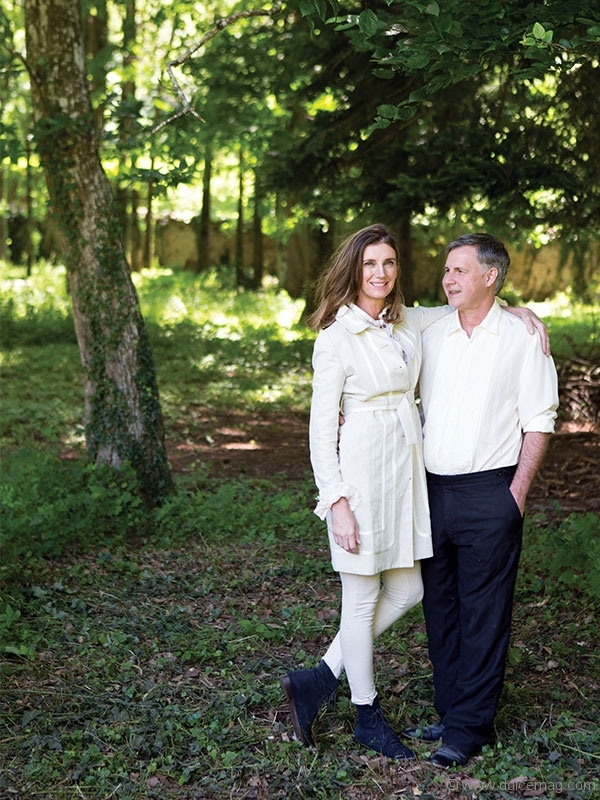 Q: How did the château first enter your and your husband’s lives? A: It was 2011 when we first saw it. Craig and I were going on a week’s trip to France to look at some properties, and just before we left our son Ben saw the château online. 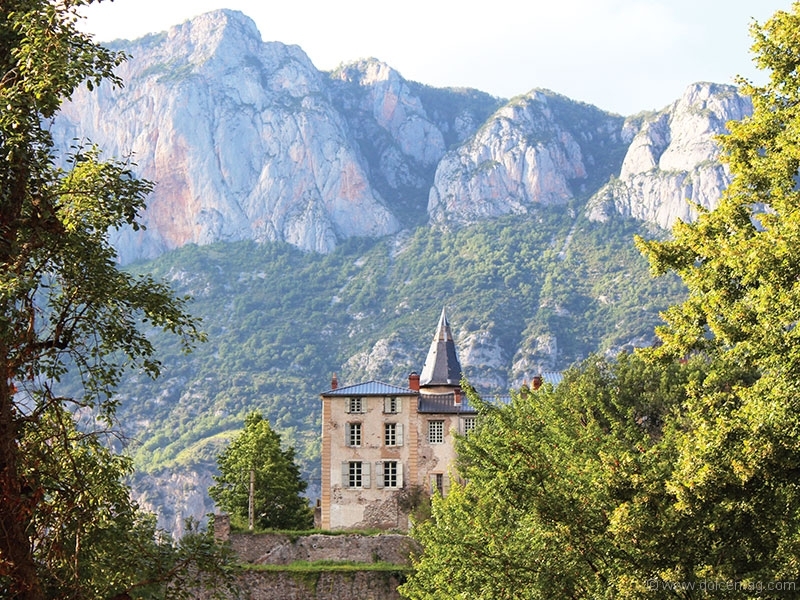 We’d never been to the Pyrenees, and never been to the mountains, so we followed our curiosity and fell in love with the château the moment we saw it. Two years later, the purchase was finalized, and we started the restoration process. Q: What’s your vision for the restoration process? A: In the beginning we were really keen to just get the renovations done and bring into the project what we would have done at home in Perth. But after spending more time at the château and understanding the building and its history, we’ve embraced it the way it is and are really enjoying it in all its imperfection. It tells a story of different centuries. So instead of erasing that story, that soul, we’re focusing rather on the renaissance of it, on bringing it back to life. It’s almost as if those who have passed through [the château] before are standing and watching. It’s a quite spiritual way of thinking, but it’s quite palpable when you’re there. Q: How many people do you have working on the restoration? A: We have the perfect team right now, and it’s magical. There’s three of us doing the hands-on work right now — myself, a restoration expert named David and our 22-year-old volunteer Tim. But in the grand scheme of things, everyone in the family is part of the team. My daughter Jasmine is 22 and studying in England, and strangely enough she’s taking units that have to do with the restoration and renaissance of old buildings. My son Ben is 21, and he takes care of the finances and budgets. Then we have other family members helping out with the social media. Besides that, if we ever need to hire an electrician, plumber or carpenter, I source those services in the local village. Q: What’s the process been like so far? A: Every day is a different story! We laugh along the way and have fun. It’s hard work, but the work is love. I’m learning to do everything, because as the owner of a château I need to know all this stuff. It’s not the same when you get a contractor to do it, because this is our legacy, and that’s how you connect with it. My daughter recently saw me tiling the 120 square-meter vestibule with these really heavy tiles — and she’ll always remember that her mother did that. 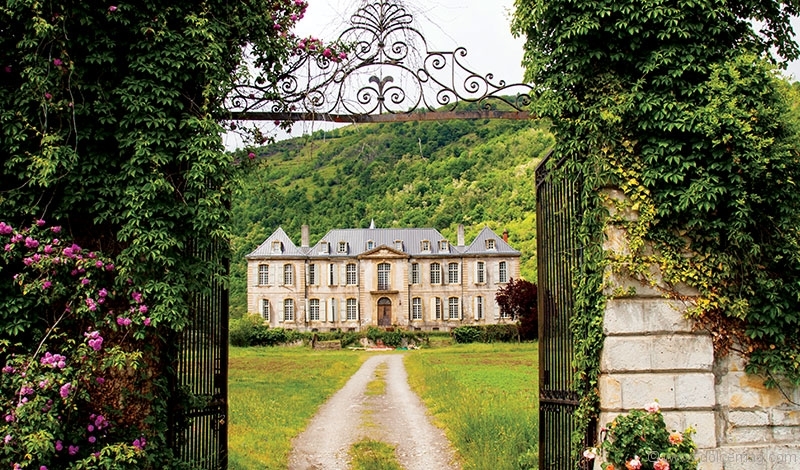 Q: What’s your ultimate goal for the château? A: We’ve been brainstorming as a family and realize we have lots of options. We could even open up a B and B if we really wanted! But whatever we decide, it’s going to have to be shared and open to everyone, because really, that’s what the château was built for originally. The cellars, built in the 13th century, were constructed as a refuge for the Qatar people, who were being persecuted. Then the rest of the château was built in the 18th century for entertaining, and philosophers like Voltaire would come here. So it’s always had this history of being for everyone, and we want to make sure it remains accessible. 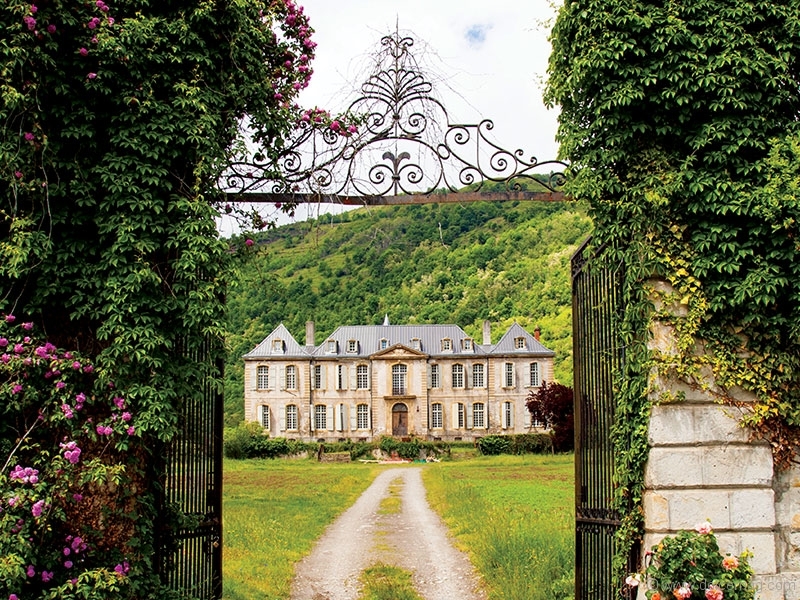 Q: How has the château changed your life? A: I was leading a life in Perth that was really quite structured. Then suddenly I’m in another hemisphere, in a country where I don’t even speak the language [laughs], and totally immersed in this other life. I’m in the mountains, I’m in nature. 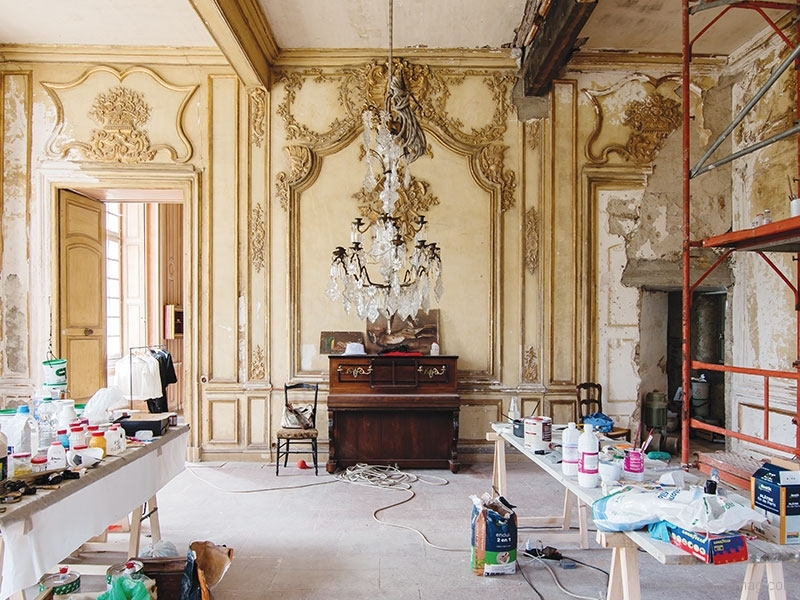 And I didn’t even think that I needed this self-restoration but I think as well as the château being restored, it’s running parallels with my own life. It’s just extraordinary.